We just returned from the American Medical Association House of Delegates (AMA-HOD) interim meeting held in Honolulu, HI. When compared to the annual AMA-HOD meeting, this gathering tends to be slightly shorter in committed days but just as extensive in topics discussed. ASCO was very busy. ASCO’s delegation, which included Drs. Tom Marsland, Ray Page, and Steve Lee, fostered issues that are all deeply concerning to daily oncology practice. Along with colleagues from the College of American Pathology, we were able to successfully propose a resolution to eliminate the “14-day rule.” Our addendum to the recently revised CMS ruling highlighted the need to fund both inpatient as well as outpatient advanced diagnostic lab testing (ADLTs) on both blood and tissue samples. We similarly proposed and debated the need to discard Medicare part B drugs from the MACRA/MIPS payment analysis. This change could have a profound impact on subsequent penalties practices might encounter. A co-sponsored resolution with American College of Rheumatology brought out the need to educate and develop legislative regulatory policy concerning Pharmacy Benefit Managers (PBMs). It was felt throughout the House that this point concerning PBMs and their influence on drug costs was long overdue. In addition, we were able to bring to the surface a “late” resolution seeking to delay a CMS plan to include cost scoring of 10% in MACRA/MIPS beginning in 2018. The request was to delay cost scoring until a validated risk assessment mechanism could be defined. All of our efforts were effectively debated and eventually adopted by the House. The late resolution was referred to the AMA Board for decision with the backstage discussion that the AMA was well into CMS negotiations on this very topic. In addition, all ASCO-supported topics and resolutions were monitored and/or actively asserted. The cancer caucus was extremely busy and well attended. New attendees included representatives from ACCC as well as Young Physicians (YPS) and Thoracic Surgery. The AMA president-elect, ASCO’s own Dr. Barbara McAneny, as usual added an interesting dimension and insight to all of our discussions. ASCO has undoubtedly assumed a prominent leadership role in all cancer-related topics at the AMA. None of this happens without the undivided attention to details by ASCO staff: Ms. Monica Tan, Amanda Schwartz, and Jennifer Brunelle. 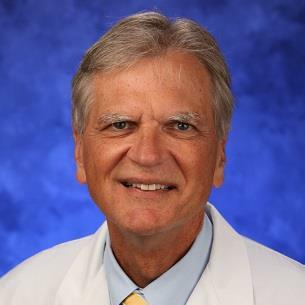 Finally, we would like to thank Dr. Charles Miller for hosting a gracious evening of collegiality with the Hawaii’s Society of Clinical Oncology. Thank you, Dr. Miller! The ASCO AMA-HOD delegation is really a model of productive kinship. We will continue to devote our time and talents to all oncology important items in an effective and timely fashion. Look for more news from the annual AMA-HOD meeting in June 2018.